Mr. Alok Saxena, Director, Elder Pharmaceuticals Ltd.
"Sentinel Public Relations Pvt. Ltd." has a hands-on approach to all assignments and can look at any development from the client’s perspective as well as from the media perspective"
"His vibrancy shown by the young team at "Sentinel Public Relations Pvt. Ltd." In undertaking PR on our behalf is truly commendable"
Mr. Jayant Lapsia, Secretary, All India Liquid Bulk Importers & Exporters Association. "We are happy with the services and quick response from "Sentinel Public Relations Pvt. Ltd" It's CEO is a very dynamic personality with thorough knowledge of what PR really is about"
Mr. Vijay Kalantri, Executive Director, World Trade Centre, Mumbai. "Sentinel Public Relations Pvt. Ltd" is one of the few agencies which can offer a variety of PR solutions for any specific event or for long term image building. World Trade Centre has benefited substantially from the services of "Sentinel Public Relations Pvt. Ltd."
"Excellent Service. Good Network Impressive results"
Mr Paresh Shah, Director, Euro Ceramics Ltd.
"It’s an amazing experience getting "Sentinel Public Relations Pvt. Ltd." done through Sentinel. Since I had no knowledge of dealing with the media its professional, warm and encouraging team immediately put me at ease and trained me about the basics of speaking to the media confidently." "Sentinel Public Relations Pvt. Ltd." has become a part of our organization"
Mr. Dilawar Nensey, Jt MD, Royal Palms Estates Pvt. Ltd.
"Before we contracted "Sentinel Public Relations Pvt. Ltd.", we had to change our PR agency every six months as none of them could understand the PR needs of our company which is into a number of activities. "Sentinel Public Relations Pvt. Ltd." has done justice to each and every development which has taken place in our company." 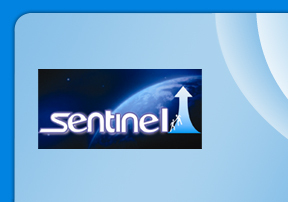 "Sentinel Public Relations Pvt. Ltd." has an innovative approach towards publicizing an event or a development. Over the last few years, "Sentinel Public Relations Pvt. Ltd." has created a good Reputation for us and has taken our image amongst various stakeholders to a higher plane." "Mr. Mitesh M Kapadia CEO of "Sentinel Public Relations Pvt. Ltd." is a great communicator and can create newsworthy stories from simple events." “Sentinel Public Relations Pvt. Ltd." offers personalized attention, business strategy and excellent service"
"The application shown by the young members of "Sentinel Public Relations Pvt. Ltd." is truly commendable. Their behavior with the Media and clients at events like press conferences or plant visits is worth emulating"